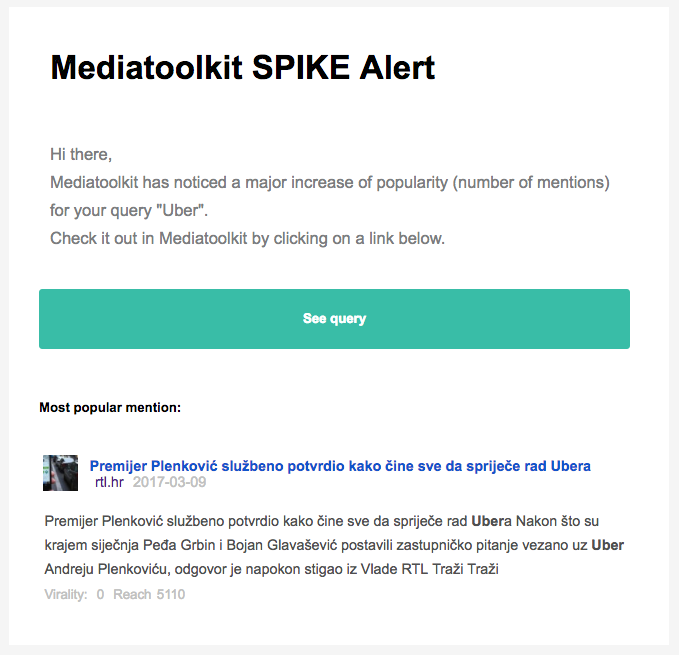 How can Mediatoolkit help you create content? You’ve probably heard the expression: “Content is king!” Everything revolves around content creation. These days, creating original and quality content can be quite challenging. It’s very important to know your customer’s preferences and interest to make quality content that they’ll find relevant and which will ultimately motivate them to engage. Producing quality content allows you to build a stronger relationship with your customer in the long run. There are a lot of examples of brands who simply produce the content for content sake without ever questioning is this something my customers will find useful and how can my customers benefit from what I’m offering. That’s why it’s important to keep your eyes and ears open to your customer’s interests so you, yourself can benefit also. How do you do all that? The solution for your troubles lies in media monitoring. Media monitoring provides you with valuable insight that can help you produce quality content. The one that your customers will appreciate and engage with because it’ll provide an additional benefit to them. What do your customers like? With media monitoring, you can get the list of mentions of your brand and analyze how people are responding to your content. With this valuable insight, you can change the way you’re producing content and use their praises and criticisms as guidance. Also, don’t forget to engage with them by commenting on their posts regardless of the sentiment. See what type of content your customers respond to the most and produce more of it. Whether it’s videos, blog posts, infographics or something else, it is important to adjust your content to customers. Media monitoring, also, allows you to keep track of trending topics in your niche that can serve as an inspiration for content creation. For example, if you see some new topic emerging, hop on the bandwagon while it’s still moving and create content that will revolve around that topic. That way you’ll show that you’re informed, on trend and on top of the game. A feature that can help you with this is Word cloud in Mediatoolkit. 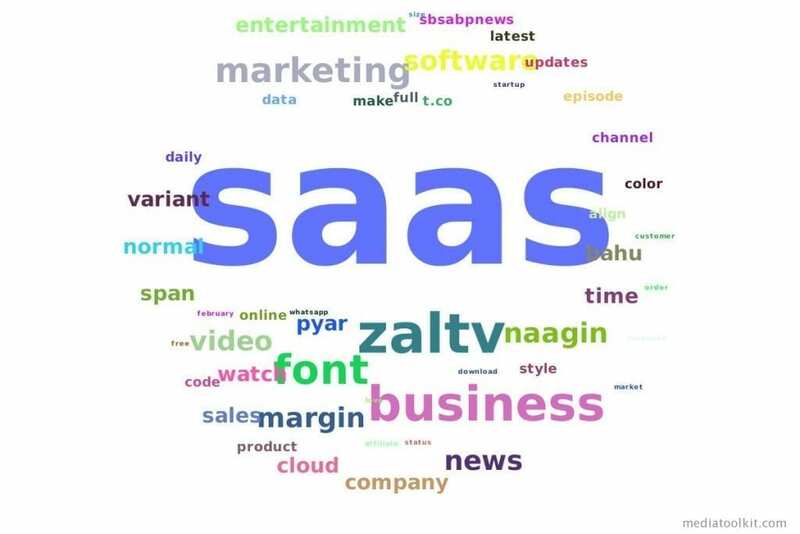 For example, we are a SaaS company and we want to know what’s going on in the industry. 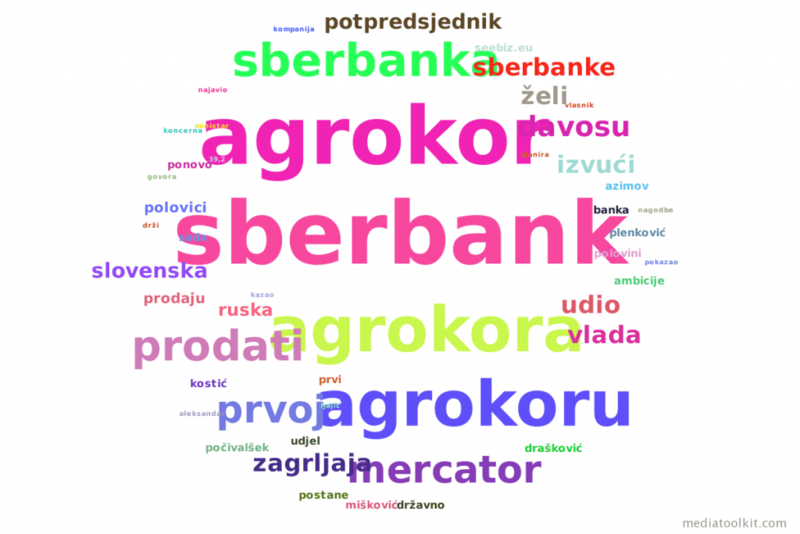 Word cloud shows you all the keywords that were used in online posts with the query that you’ve set up. You can click on the keywords and see the original posts. That way you can find out what are the main topics revolving around your industry. Media monitoring can help you with your competition as well. You can track how they manage content and how their content is performing with the audience. Also, you can detect when they make a mistake and learn from it so you don’t repeat it yourself. The other cool thing is that you can easily find influencers relevant to your brand. You can get in touch with them to collaborate and create interesting content together which your audience will like. Whichever way you decide to go, media monitoring will provide you with valuable information that will boost the quality of your content and attract more customers to your brand. Sign up for a 14-day trial!